James and Victoria’s wedding day was absolutely classic. The ceremony at St. Cecilia Catholic Church carried the traditions of their families forward and then they transitioned to Stock Pot Broiler at Red Tail Golf Course for the reception. 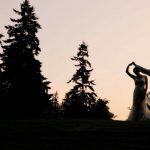 The highlight of the video is seeing them share personal vows with each other during sunset as they were surrounded by the gorgeous greenery of the Northwest. I read this article and found it very interesting, thought it might be something for you. The article is called St. Cecilia Catholic Church Wedding, A Short Film for James + Victoria and is located at https://atelierpictures.com/stories/st-cecilia-catholic-church-wedding-a-short-film-for-james-victoria/.